The winning firm will help the Chinese multinational tech giant overcome recent reputational challenges. BEIJING: Lenovo is reviewing its PR agency support in China for a seven-figure corporate reputation and thought leadership assignment that will run separately to its current agency provision. The computer company has suffered reputation difficulties in recent times. It was accused of failing to back Chinese telecom company Huawei in setting standards for 5G mobile technology. Rumors – rebutted by Lenovo - suggested it was considering backing U.S. tech company Qualcomm over one particular key standard. Lenovo was also dropped from Hong Kong’s Hang Seng Index last month. Its stock had fallen 57% since it joined the index in 2013, with its acquisitions of smartphone and server businesses Motorola and IBM in 2014 failing to excite investors. The company is understood to have carried out individual meetings with a select group of agencies to garner their perceptions of the company in light of events over the past two months. The aspiration is apparently to not undertake a full RFP process, but rather to appoint an agency quickly. Torod Neptune, chief communications officer of Lenovo Group, told PRWeek via email: "As a global company in a fast-paced industry we conduct ongoing evaluations of our key agency partners to ensure they align with our needs for having access to best-in-breed creative and integrated communications partners. "As part of this practice, we are currently reviewing our needs in China to ensure we can drive the Lenovo corporate reputation and a dynamic thought leadership program that reinforces our ‘One Lenovo’ brand story and global positioning," he said. "The current plan is for this brief to sit outside the current agency partners we have in China who continue to support us across our product work and for select campaigns." Lenovo has worked with Chinese agency BlueFocus for many years and was a founding client of the Oscar Zhao-helmed firm. It will continue to work with BlueFocus but it is understood that Lenovo would prefer to work with a global agency partner with China expertise that is focused on integrated communications, rather than just media relations, for this particular assignment. The successful agency will need a consistent global perspective but will also understand the nuances of the Chinese market. Lenovo’s total agency remit for China is understood to amount to eight figures. Last October, Lenovo appointed Zeno as its global corporate and product AOR, an account worth $6 million. The DJE Holdings firm won the lucrative account against teams from Weber Shandwick, WE Communications, and an Omnicom PR Group team including Porter Novelli and Ketchum staffers in the final leg of the pitch. 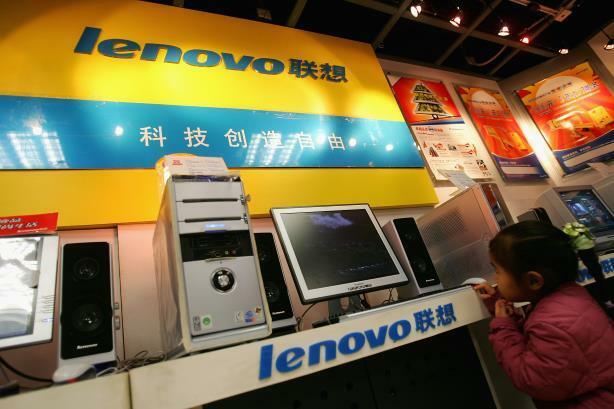 Zeno doesn’t have a significant presence in China, and Lenovo is conflicted out of working with sister DJE firm Edelman because it works with clients such as HP. The account was formerly handled by Text100. At the time, Neptune said the Next Fifteen agency would continue to support Lenovo in "key markets." He added that the review would not affect the relationships Lenovo has with other agencies that support the brand on a geographic basis around the world, which accounts for about 50% of its overall global agency support.